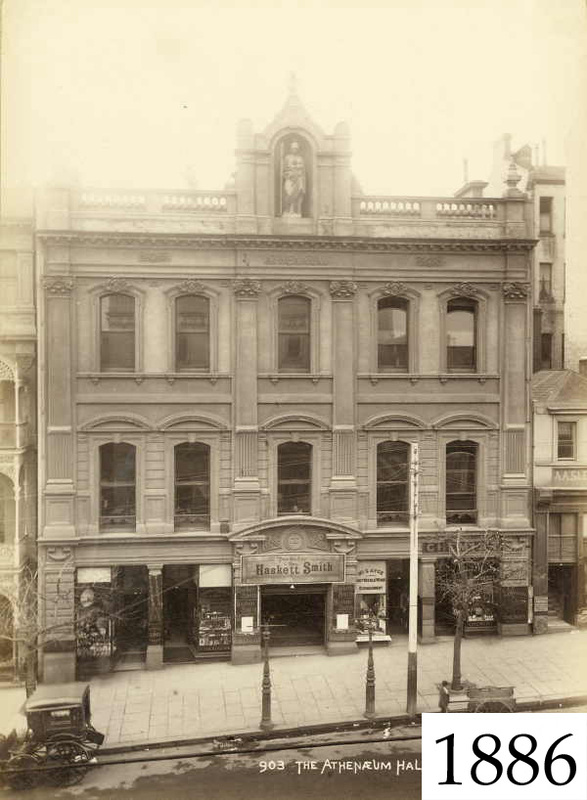 A theatre has existed at 188 Collins Street since 1842. The first hall was built on the first floor of the Mechanic's Institution and completed in 1842. The building became the cultural, educational and social hub of the town. The original building had a library and museum downstairs and a hall upstairs. 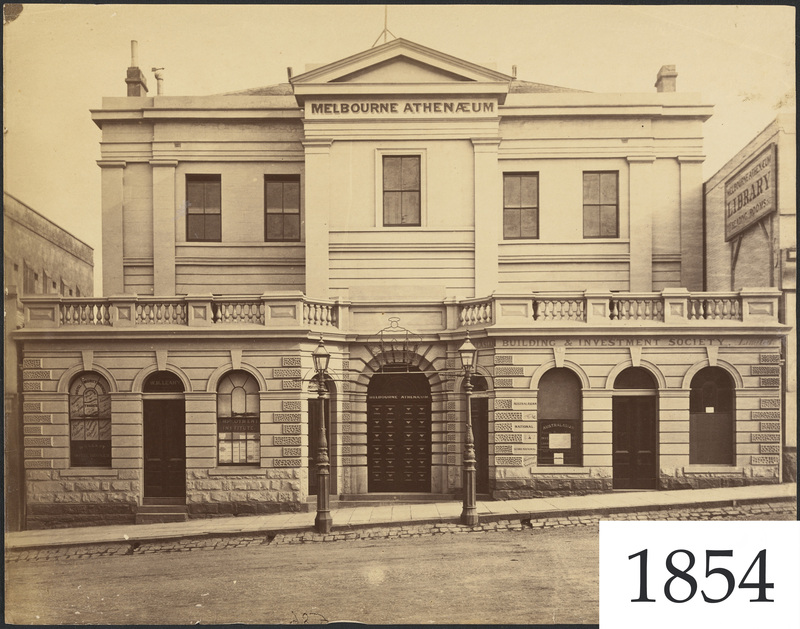 The Mechanics' Institution Hall was a popular meeting place, and also accommodated cultural and educational events and church services. An interior view of the new hall by the architect, Alfred Smith. 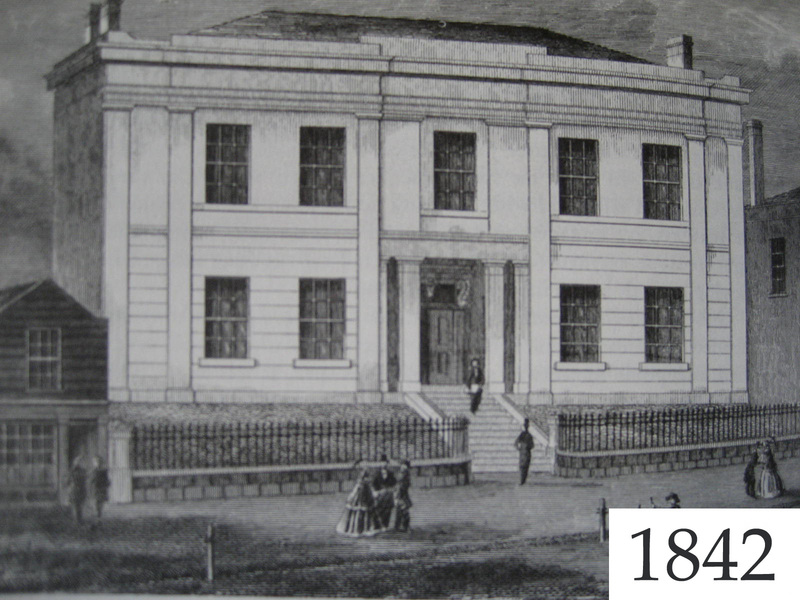 Although the Committee of Management wanted to build a larger space in the 1850s, it was not until 1872 that the new large hall was completed. This was also a very popular performance space which was also used for lectures, classes, official balls, exhibitions and fairs. In 1923 the large hall was transformed into an 'intimate theatre' by Frank Talbot, working with architect Henry White. Tons of clay were removed to lower the floor and the new theatre was built inside the old one, so that the floor level of the current dress circle was once the floor level of the old hall.